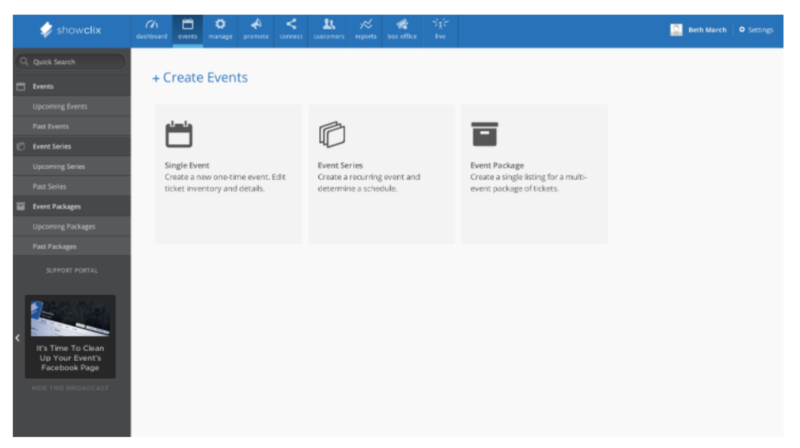 Need to create an event series now? Click here to get started. Name. Enter the title of the event. This will be visible to any customers and visitors on your event pages. Event URL. 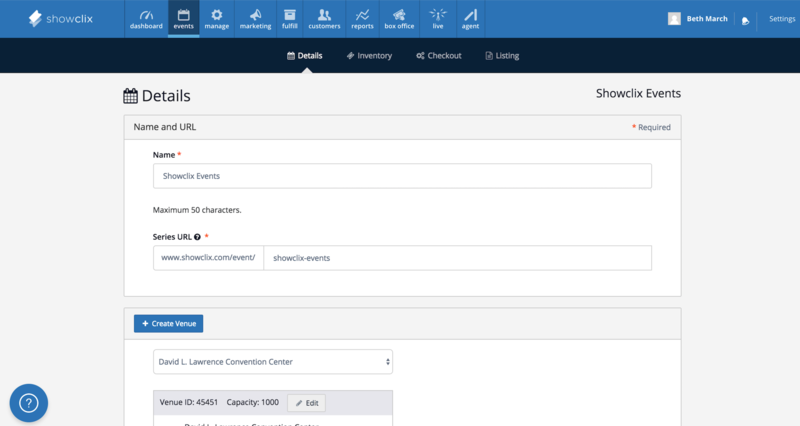 Enter a customized name to attach to the event series page URL. By default, this name is the event's title without spaces or punctuation (i.e., http://www.showclix.com/event/pool_party). Type of Event. Select the type of event: ticketed or registration. For registration events, this selection only affects the language during the checkout process (e.g., Register instead of Buy Tickets). Event Listing Messaging. Specify if the event is Ticketed or Registration. This option affects some of the messaging your customers will see in the checkout process (e.g., "Register" or "Buy Tickets"). Age Restrictions. Select the applicable age restriction for admission to the event. If none exists, select All Ages. You can also select Other to specify a particular age.